Join ABN AMRO to learn how they use Jira Software Data Center and Portfolio for Jira to maintain agility with their continued growth. In 2015, ABN AMRO, one of the largest banks in the Netherlands, rolled out agile with Jira Software across their organization. Within a year and a half, they grew from over 100 to 7000 users. This rapid growth greatly increased their system complexity, including 65 administrators who created over 65 issue types, 250 statuses, and 400 workflows. In order to scale agile practices, while keeping work and teams aligned, ABN AMRO migrated to Jira Software Data Center and implemented Portfolio for Jira. 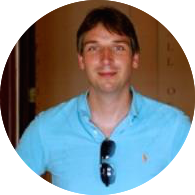 Dennis is an experienced agile coach & Jira Software expert with a demonstrated history of working in the banking industry. He's also skilled in scrum, coaching and risk management. Dennis has a Bachelor degree in business economics, and theater from the School of Performing Arts. 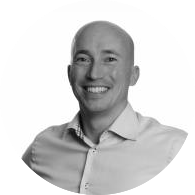 Rik is the Product Owner for the portfolio management tooling at ABN AMRO. He has 20 years of experience in financial services including 10 years in IT and process transformation. When Rik's not in the office, he's pursuing his a passion for martial arts and CrossFit.